Auntie M wishes all the mothers reading this a very Happy Mother’s Day. Today she’s going to give you a really mixed bag of goodies to choose from for your reading pleasure. 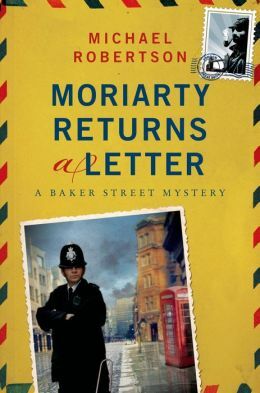 First up is Moriarty Returns a Letter by Michael Robertson, the continuing saga of brothers Nigel and Reggie Heath, whose law firm is located at 221B Baker Street. Its rental comes with the added burden of herding the mail that arrives addressed to Sherlock Holmes. This innovative series is pure delight, and opens with an exhibition of vintage letters to Sherlock Holmes going on display at the Marylebone Hotel. Reggie and his fiancee Laura are set to leave on an engagement trip, a precursor to their long-anticipated wedding. Then Darla Rennie turns up, a troubled young woman convinced Reggie is Sherlock Holmes and that she is the descendent of Moriarty. With the single-minded determination and cunning abilities of the evil Professor, Darla manages to turn up at unexpected times and places and generally throws a substantive monkey wrench into the proceedings. The history of her gripe has its seeds in the death of an 1890’s Pinkerton officer from America working undercover in England. His story and one from the 1940’s add to the storyline as the contemporary 1990’s events unfold. Nigel and Reggie prove an interesting pair of protagonists in the series, not quite Holmes nor Watson, but certainly with shades of each in their makeup. A fine addition to the series. 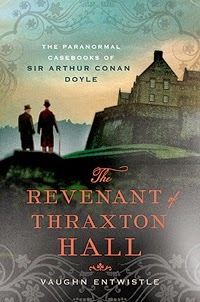 Keeping with the Sherlockian theme, the next offering is Vaughn Entwistle’s The Revenant of Thraxton Hall, which goes back in time to the days immediately after Sir Arthur Conan Doyle killed off Holmes in his story in The Strand Magazine, setting off a public frenzy that saw people sporting black arm bands in mourning and pelting the author with rotten tomatoes when they recognized him out in public. 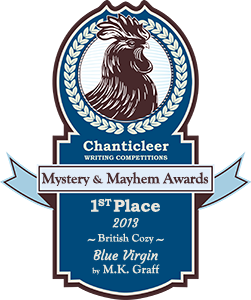 When medium Hope Thraxton asks Conan Doyle to attend her, the young heiress informs him she needs his help to stop a murder–hers. 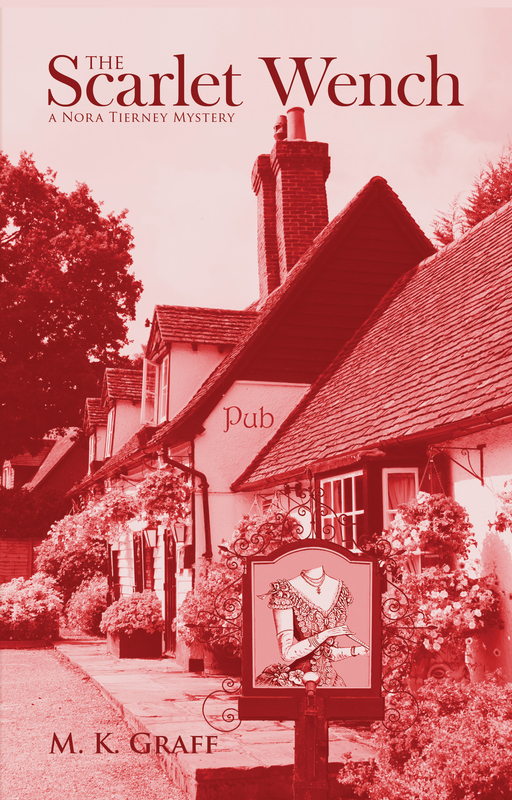 Despite misgivings at leaving his ill wife at home, the author jumps at the chance to leave town,an dis accompanied by his good friend, Oscar Wilde. Together the two venture to Thraxton Hall for the meeting of the Society for Psychical Research, a group of supernaturalists who each have a motive for wanting young Hope’s death. Spookiness abounds, with weird happenings and nightly seances, acts of levitation and the pronouncements of a russian mystic of the revenant, or returning spirit, who haunts Thraxton Hall. All of the action is lightened by Wilde’s breezy patter and affectations. The two men will attempt to figure out the real motives of those at the gathering before murder can occur. The first of a planned series, these feature Conan Doyle’s real-life absorption with the paranormal and promise to be filled with whimsy quirks and fantastical plots. 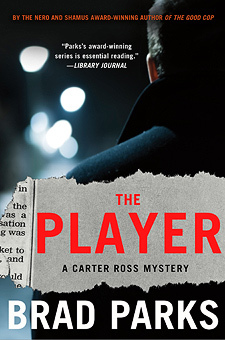 Leaving England for Newark, New Jersey, brings us to Brad Park’s newest Carter Ross mystery, The Player. 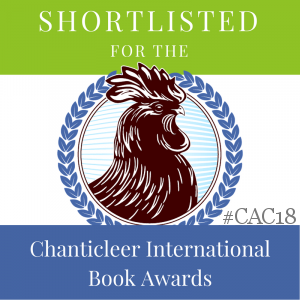 Told in first-person narrative with Ross’ wry humor at the forefront, this caper revolves around strange illnesses affecting the residents of a small neighborhood, a story that sets Ross’ antenna quivering. As he uses the skills of a new intern to augment his work, Ross fends off the odd relationship he’s developed with his editor and former lover, Tina, but a new wrinkle has them revisiting their roles. The story he’s working on goes beyond a supposedly smarmy developer and equally suspicious crime boss. But his poking around sets off alarms and he soon finds himself embroiled in the people who might benefit from a class action lawsuit and finds he’s found himself a brand new enemy. Park’s humor keeps this series from bogging down while he tackles serious issues and gives outsiders a real perspective of life inside a newspaper and of blue collar Newark. Icelandic author Yrsa Sigurdartdottir already has a following for her mystery series featuring lawyer Thora Gudmundsdottir. 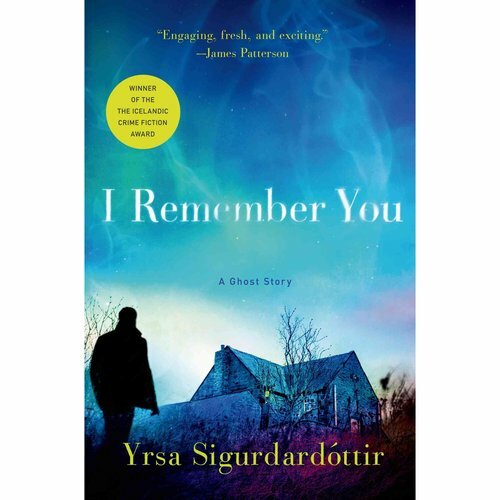 She returns with a new a ghost story, I Remember You, that will wrap you up in its eeriness and leave an impact long after the last page has been turned. Three people arrive in the isolated village of the Icelandic Westfjords, set to start work on renovating an old house. Bought by two male friends, one has died suddenly, leaving his widow to accompany the other married couple as they set to work. The remoteness and debilitated condition of the house add to the spooky atmosphere as weird things start to happen. It soon becomes evident that some otherworldly force wants them to leave the house. 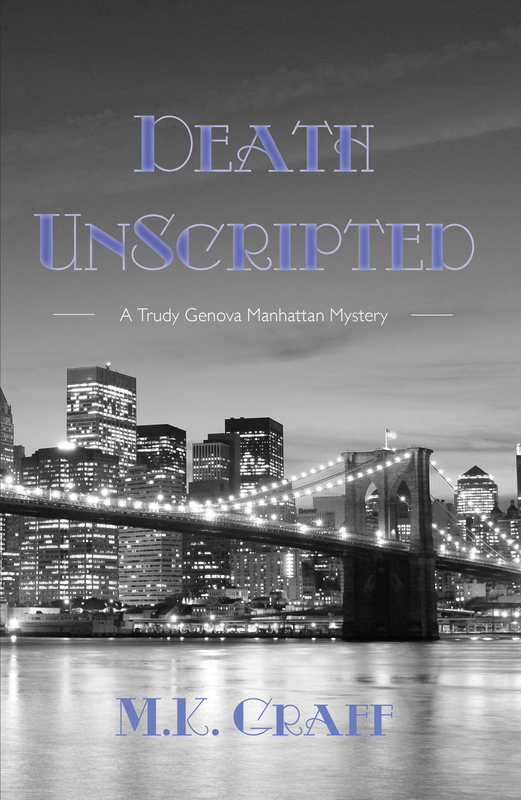 The story runs alongside the saga of a divorced physician who becomes involved in investigating the suicide of a woman–a woman he discovers had become obsessed with his own son, who disappeared and is presumed dead. This scary thriller who have you on the edge of your sheet and looking over your shoulder. If you like stories that raise the hairs on the back of your neck, this one’s for you. Noah Hawley has created and written screenplays and television shows and several previous novels. 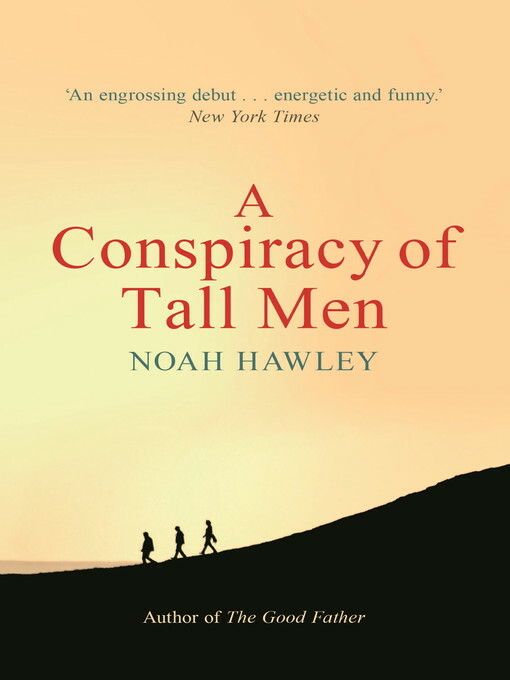 Now he brings A Conspiracy of Tall Men to the reader in the same way controversy followed him for The Good Father. In this offering, Linus Owen teaches conspiracy theory on the college level and follows his own ideas on the subject with two dedicated theorist friends in his off-time. He and his wife, advertising executive Claudia, have an ideal life and have decided to start their family after her return from visiting her mother in Chicago. Then two FBI agents arrive with startling news. Claudia has been killed in a plane crash–but the plane was headed to Brazil. What she was doing on that plane and how she got there form the basis of the investigation Linus pursues. From the get go, he sees the list of passengers he’s received is not complete. Then he learns Claudia’s fellow traveler was VP of a large pharmaceutical company. With his conspiracy radar pinging on high, Linus sets out to unravel the mystery of his wife’s death, with the help of his friends, to devastating circumstances. Linus’ rambling thoughts and asides provide black humor for the book, but it will be the unusual reader who will not find themselves buying into his rants and ideas as the action unfolds. Entertaining and different.